COSSU publishes Chesstamp Review four times a year. Here is the pdf version of Vol.31 (2009) no.3. It's formatted for print, not the web, but you should be able to enjoy it and to get a good sense of our quarterly publication. We will post long articles and bonus features that take advantage of the web and the storage that we have here. 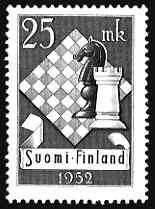 To submit articles for the web site or for Chesstamp Review, please contact the editor.